The Entrapment Of Iblees – Are Your Prayers Accepted? The age we live in now is most definitely an age of ignorance, and it has become so established, that knowledge now became a very strange thing. Sadly, this is the case now even amongst those who seek knowledge as they fall into the danger of the pit of compounded ignorance. Unfortunately, there is a lack of order in how knowledge is sought and everything is backwards. I was asked by a friend of mine why I stopped memorizing the Quran. My answer was because I realized that I was trying to seek after a recommended action while neglecting to fulfill the obligatory actions. It’s no use to have memorized the Quran if I don’t know the rules of the prayer, in which I can recite the Quran. 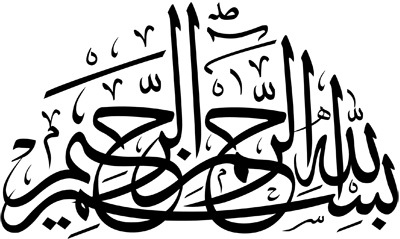 It seemed as if he was taken back a little bit being told that as far as the Quran is concerned, the only chapter one has to memorize is the first one, Al Fatiha, and a short chapter like 112, Al Ikhlas, just so the prayer is sound. Anything else is going after extra points. What use is it to pray extra prayers (nawafil) if you still have to make up your obligatory ones (fara’idh) that you missed? So, needless to say, I switched my focus to study and memorize the texts pertaining to the rulings dealing with individual religious obligations. Once the obligatory is done, I’ll resume with the recommended. The collection of Sahih Al Bukhari has a noteworthy chapter in the Book of Knowledge titled The Chapter of Knowledge before Speech and Action. Before saying or doing anything, you absolutely have to know what it is you’re about to say or do. In fact, from an Islamic tradition point of view, a knowledgeable person who doesn’t get involved in many extra acts of worship outside the obligatory ones is regarded higher than an ignoramus that prays all the time. You’ll see what I mean in a second, so bear with me. And the other is an ignoramus, and how can he be fixed the possessor of ignorance? Shade is one of the signs pointing towards the maker of those signs. Shade is a middle point between complete light and complete darkness. It’s a mixture of the two that allows one to the ability to see, which is not the case in pure light or pure darkness for both of these ends of the spectrum would render one to be blind to their surrounding environment. Moreover, shade is one of the blessings being granted in the Garden as God mentions in Al Waqi’ah (with spreading shade) for the people of the Right Hand. It’s related that the Prophet PBUH descended in one of his travels during his afternoon nap under the shade of a tree, and there were many companions with him PBUH, so God extended the shade of that tree until it encompassed all of them, and this verse was revealed. This incident is one of the miracles of his PBUH. It behooves me to mention here something about prayer. The Arabic word used for the ritual act is salah, which comes from the root word meaning “to connect”. It is the one act that literally means to connect one to God while they engage in it. Also, it is supposed to connect the one performing it with the Creation of God since its establishment is invariably linked with the Creation. The movement of the sun, its rising and setting over the horizon, and how it influences the movement and extension of the shadow are all important signs of God that He wanted us to pay attention to by using them to establish prayer times. Since Muslims do not have an anthropomorphic understanding of God in the slightest sense, knowledge of God comes from reflection upon His attributes. These attributes are manifested in the Creation and only through pondering the Creation will one truly get to know the Creator. The question now becomes, how can one get to know their Creator if they cut themselves off from His Creation? With the increasing reliance on all of these programs and timetables, I find it difficult to comprehend how one can appreciate the Creation of God as they’re immersing themselves in the false creation of man. Worse yet, how can one establish a proper connection with God through salah, when they’re relying upon a tool that often mistakes the proper condition for establishing that connection with God? Last year during the Deen Intensive Rihla in Spain, Shaykh Abdullah bin Bayyah – may God preserve him – entered the mosque as we were about to perform the Dawn prayer. He stopped us and asked what we were doing. We told him the prayer timetable indicated that it was time to pray. His response was: the sun hasn’t shown its first light yet. After further looking into it, it turned out we were making the prayer call and praying a good 20 minutes before the time actually entered. But hey, the schedule said it did enter and we were smart enough to trust it. Last week my teacher had me go out and perform an exercise in observing the shadows to determine when Dhu’hr time enters. I sat out there from 12:32 PM until 2:12 PM and measured the shadow of a short light pole outside my apartment building every 5 minutes. From 12:32 PM to 1:02 PM the shadow kept decreasing and then from 1:02 PM until 1:47 PM it was almost a standstill. That was as a result of the sun being at the zenith point. The shadow didn’t start to increase properly again at a rate similar to its decrease until 1:52 PM. According to the religious ruling, that’s when Dhu’hr officially enters. I checked my iPhone to see what it says, and according to it Dhu’hr entered at 1:19 PM. I know that the imam at our local mosque prays Dhu’hr at 1:30 PM. After having confirmed that I wasn’t mistaken in my conclusion from observing the shadow, I can now say with certainty that my iPhone, the prayer timetable the local community has being passed around, Islamic Finder, and the local mosque all pray Dhu’hr before it actually enters. I checked Asr later that day, and there was only a 5 minute difference. So the overall conclusion from this exercise was to definitely delay all the prayers from what these timetables claim by a little bit, and by a lot more when it comes to Dhu’hr; at least during our summer months. Our predecessors, when they ruled the world, they were following in the religion and innovating in worldly matters. Nowadays, we innovate in the religion and follow in worldly matters. What good is it to pray Dhu’hr if it’s not accepted because it was prayed before its prescribed time? What good is it to fast 17 hours a day if you’re going to break your fast before the sun is actually fully set and invalidate it just because the all mighty infallible prayer timetable said it was time to break your fast even though it was not? Let there be no doubt about this matter. Prayer time most certainly does not depend on the time the iPhone app or prayer timetable hanging on the fridge say it does, and it definitely doesn’t enter based on when the program installed on the PC or Mac starts calling the adhan recorded by Mishary Al Afasi. It is dependent on the sun movement in the sky and how that affects the shadows as has been described in many narrations from our Beloved PBUH. These technological tools should be subject to the religion, not the other way around. Interestingly enough, one of the signs of the end of time as mentioned in the tradition, is that one will be observing and measuring the shadows to determine when prayer time enters, and people will pass by and ask in wonderment what that person is doing. Don’t get me wrong here. I’m not asking that every Muslim go out and measure shadows for every prayer all the time. Just do it a few times to gain that connection with the Creation, and snap out of the blind faith in these prayer timetables, which have become a new idol. Go experience the majesty of God as He manifests it in His signs. The sun has a whole chapter in the Qur’an named after it aside from all the other times it’s mentioned in the rest of this Holy Book along with the shade. Once you get a true sense of when prayer actually enters, then use the timetable as a roundabout idea and delay your prayer depending on your location until you can be sure its time has actually entered. And delaying breaking your fast another 5 minutes after what the timetable says is not going to kill you – use the prayer time listed as a starting time for you to raise your hands up and supplicate for 5 minutes to your Lord because the time before breaking your fast has a special blessed quality and the supplication of a fasting person at the time is accepted, so take advantage of it. Many of the young Muslims seeking to know their religion tend to focus most of their time on studying Imam Al Ghazali’s texts and Imam Muhasibi’s works, but when it comes to studying the rules of prayer and purification and fasting, it’s not with the same zeal, yet these very scholars begin most of their texts dealing with correcting the obligatory ritual acts of worship before getting into the spiritual realms. No one is telling you to become a scholar of jurisprudence. Just firmly establish your knowledge of what is required of you to perform your acts in a correct manner. If you find yourself skipping fiqh just so you can read Dear Beloved Son (يا أيها الولد), while you still can’t properly tell when prayer time enters and what reasons would necessitate your performing a ritual purification, then you’re falling into Satan’s trap, and that’s what is called Talbeesu Iblees (The Entrapment of Satan). If you are going to focus on studying and memorizing the obligatory then you will never memorize the Quran. The Quran is the cornerstone of this religion and it is through the memorization of the Quran that Allah SWT has preserved this religion. There is no one that can alter its words because it is etched into the minds of many Muslims. And memorizing it does not mean to read empty words and commit them to memory. The companions of the Prophet (ASWS) used to take a few verses at a time, learn them, apply them in their lives and then move onto the next set of verses. Aisha (RA) described the character of the Prophet (ASWS) as being the Quran. We must strive to emulate the Prophet (ASWS) first, then his companions and that will not happen until we live and breathe the Quran. You mentioned that the people of knowledge are elevated above those without. This begs the question: what kind of knowledge? This is the knowledge of this religion which cannot be attained without memorizing and learning the word of Allah SWT. There is no greater knowledge than that. 2) As for the prayer times, I agree that Muslims in general need to familiarize themselves with the proper method of determining them because we do not know when we may be stranded somewhere without that convenient timetable. However, even at the time of the Prophet, the companions would gather to pray when they heard the athan. They did not each individual check the times. The point being that it is not the responsibilty of each and every Muslim to check all the times (which you did mention). As well, I have a hard time imagining the companions sitting for over an hour half trying to determine what time they can pray Dhuhr at. And this concept of hours, minutes and seconds has eroded at the blessing of time. I assure you that if we turned off all the clocks and watches in the world, we would be living a better life. Now, when speaking about suhoor and iftaar, one has to refer to the ahadeeth about their times. In Saheeh Muslim, 6.2399, the Prophet (ASWS) said “… So you eat and drink till you hear the Adhan of Ibn Umm Maktum…” And in Saheeh Al-Bukhari 3.31.178 the Prophet (ASWS) said, “The people will remain on the right path as long as they hasten the breaking of the fast.” Both of these ahadeeth indicate that when the time for prayer is upon us, then you must either withhold from eating, or break your fast. It is not from the Sunnah to delay it for any amount of time. There is also a hadeeth in Saheeh Muslim where a companion of the Prophet (ASWS) asks Aisha (RA) about two other companions, one who hastens to break his fast and one who delays. She replied by saying it is the former that was the behaviour of the Prophet (ASWS). Since the prayer calendar is what is available right now to us, we must abide by those times. However, if one is able to verify the timing of the athan before he breaks his fast, then that would indeed be better. But to delay the time without any factual evidence is not from the teachings of the Prophet (ASWS). 3) Wallahi ya akhee, I want to give you some sincere advice. You mention the names of bin Bayyah, Al Ghazali and Muhasibi. With the exception of bin Bayyah, the other two are well known to have sufi inclinations. There are many other prominent ulema’ and scholars who we can take from that do not have these tendencies. The Prophet (ASWS) ordered us to avoid that which is doubtful. We will be accountable for all that we do and even more so when we share knowledge. If anyone takes that knowledge (be it right or wrong) and applies it, then we will forever recieve hasanaat or sayi-at for that knowledge that we spread. Salams concerned, I’m wondering if you’ve read any of the books written by imam almuhasibi and imam alghazali? what do they say exactly that is doubtful? Also would you please refer me to these ‘other prominent ulema’ you mentioned?